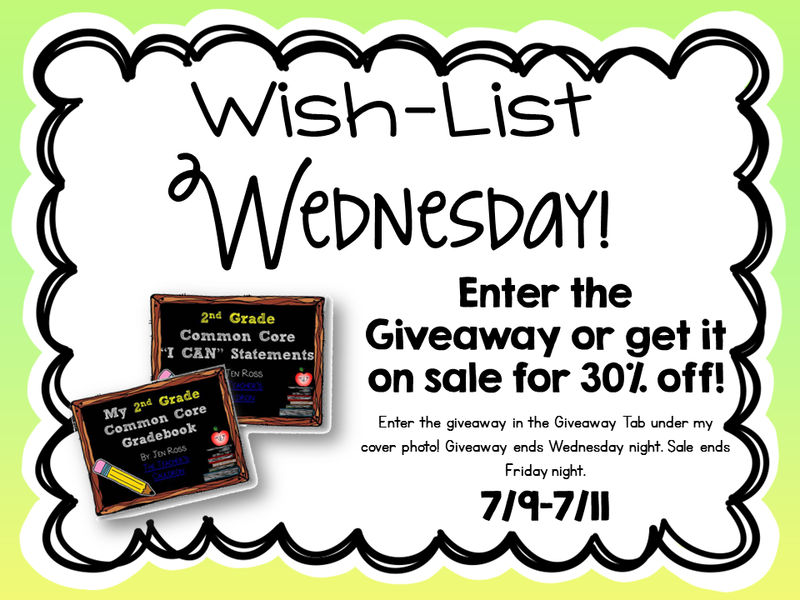 Wishlist Wednesday - Common Core Bundles! 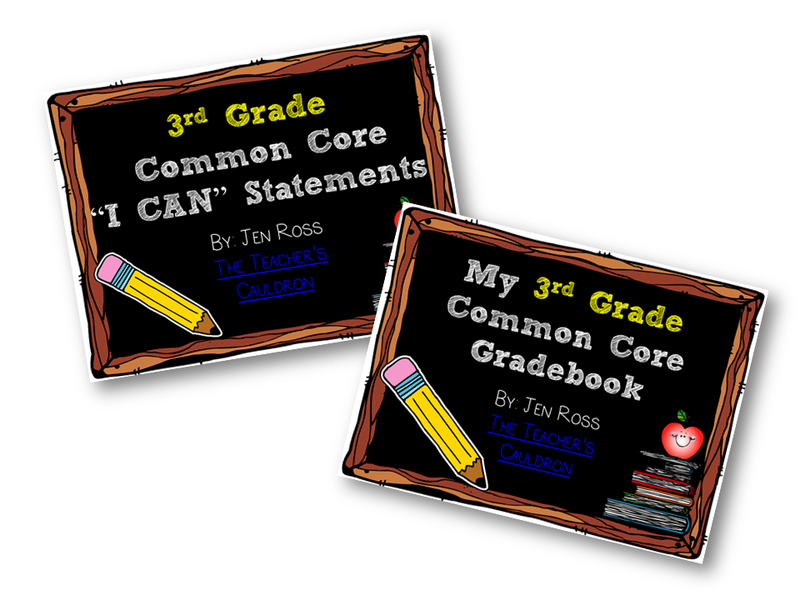 Today's Wishlist Wednesday is for my Common Core I Can Statements and Gradebook BUNDLE! 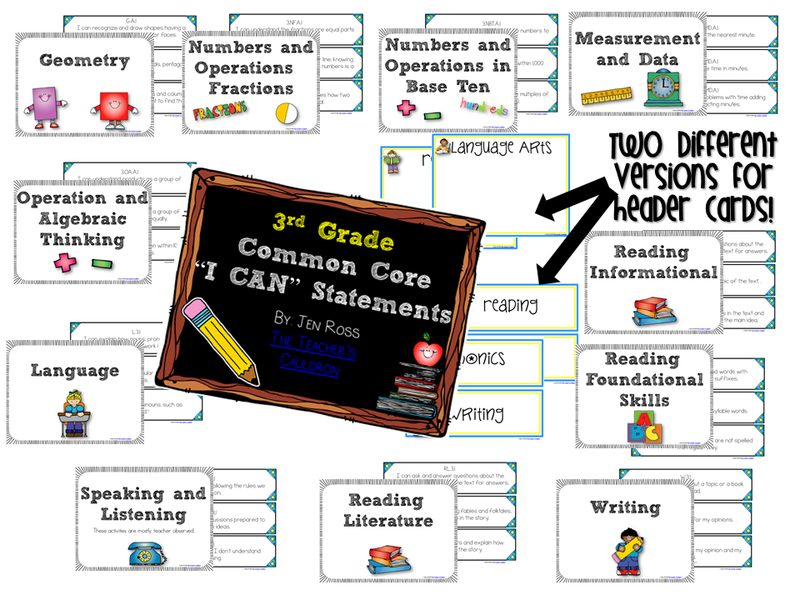 It also includes the 2nd Grade Common Core “I Can” statements! 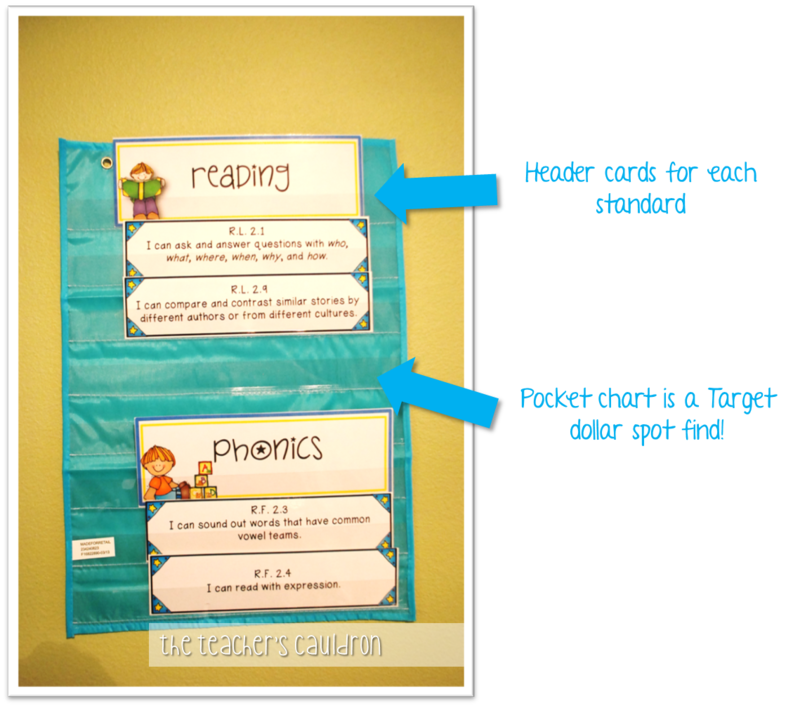 It is a complete way to keep your standards organized and to keep track of which students have mastered which Common Core ELA and Math skill! 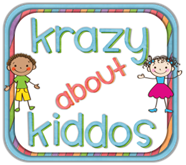 The zip file you download will have 4 files - the editable Gradebook (you will need to have powerpoint), and editable gradebook where you can type in your students' names before you print out the gradebook, and 2 versions of the "I Can" statements: clear print and kid-writing print. You can check out THIS post to see how I keep mine organized and displayed. 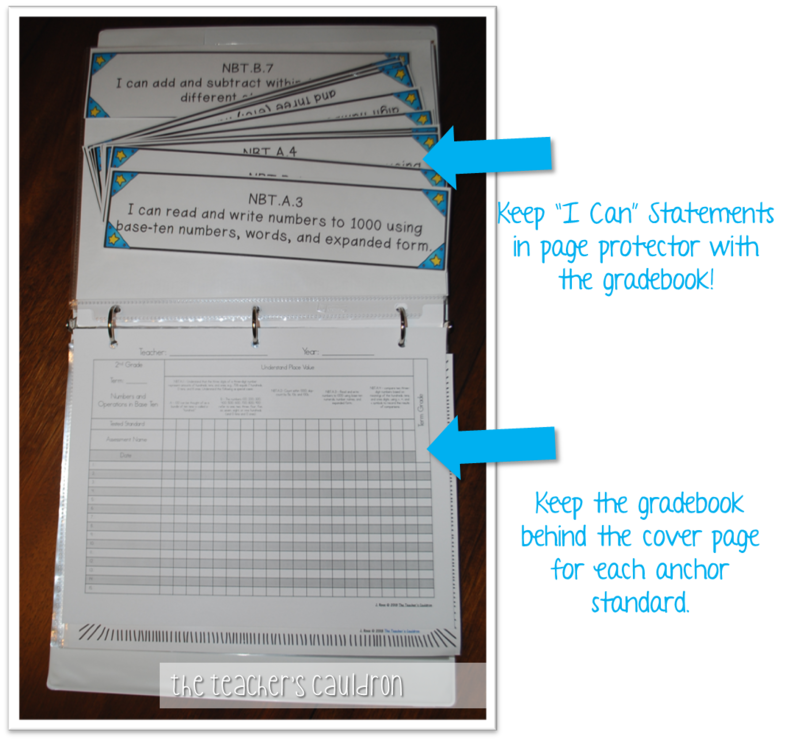 And HERE'S an upclose picture of my gradebook, and another way to display them in your classroom!! 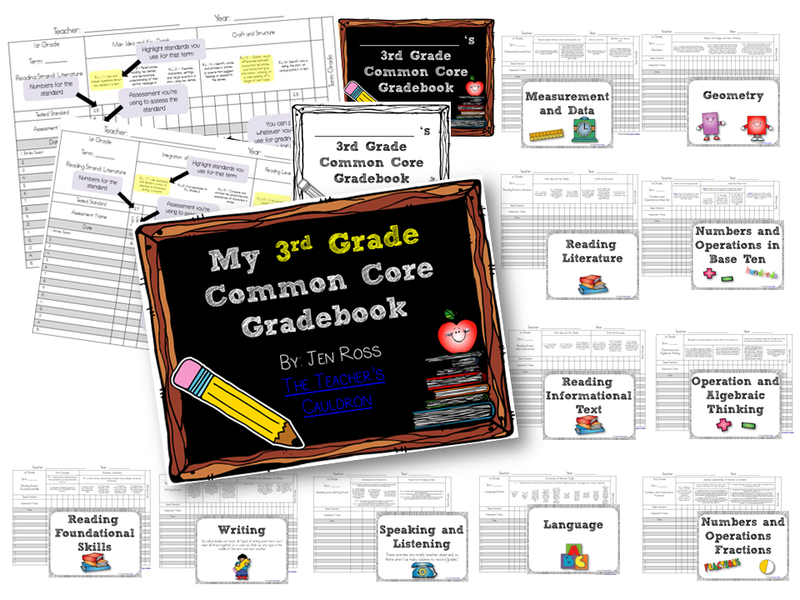 I have Common Core I Can Statements and Gradebooks for grades K, 1, 2, and 3! So if you teach one of those grades, you can enter to win! The giveaway ends TODAY (Wednesday) but you can grab them (all grade levels!) on sale for 30% off through FRIDAY! I even put the separate packs on sale in case you don't need both packs! 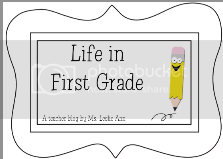 This will be my first year teaching 2nd grade. I am making the move from 4th! 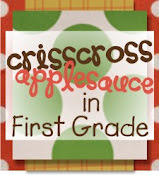 Would love this for 1st grade! I would love 2nd grade. What an amazing pack. I'm teaching 1st grade ELD this year. This will help keep me organized. I will be teaching first grade! I really need this because I am so not organized! Happy to be in kindergarten again. I'll be teaching kindergarten & 1st, which will be a change from upper elementary (4th-5th) the past few years. I will be teaching first grade! I am teaching 3rd next year so I will need a new set. I am looping with my kiddos. Can't wait! I teach 3rd grade am looking for a more organized way to so my I can statements! I would love to have this set. 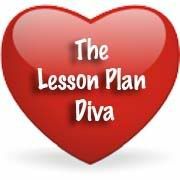 This will be my fifth year teaching SECOND! I love being a 2nd grade teacher! I am always looking for new ideas! 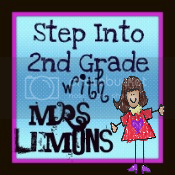 I will be teaching second grade! This will be my second year in second! 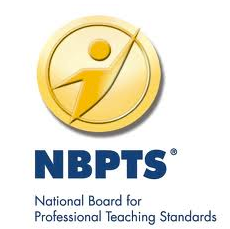 I will be teaching 2nd grade with 2 other amazing teachers! I taught 3rd last year, and I am not totally sure what I'll be teaching this year! I'm in a new grade this year: 1st! I am teaching 6th grade language arts this coming year. I am very excited. I will be teaching 3rd for the 17th year. 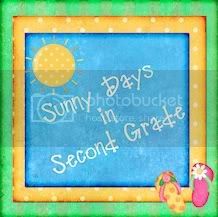 I've taught first grade for a while now and recently moved to a new town where I will be trying out second grade. I am nervous, but excited and I would love these I can statements! It would be a great start. I'm teaching 2nd grade for the 3rd year! This will be my 4th year teaching 2nd grade! 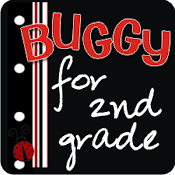 I am teaching 2nd grade next year! I'm teaching 2nd grade next year. I'm teaching 3rd grade this year! Very excited to teach the same thing two years in a row for the first time! Still in 2nd grade!! LOVE it!!! I'm teaching first again next year! I'm teaching third grade next year! Your products look wonderful! These would be great for my transition to third grade next year! I will be teaching K.
I'll be teaching 2nd grade!!! Awesome! This would be a wonderful set to win!! Thanks for the chance! Show Me Your Teacher Tote Linky! Label It and Write About It! August CCS Centers... FIRST Grade!